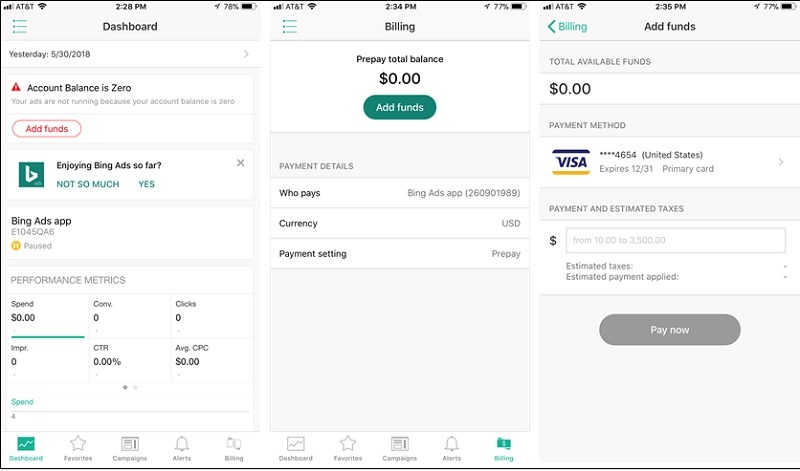 We’ve listened to your feedback and have introduced new payment related features to the Bing Ads App. Advertisers now can add funds on mobile. If you have a prepay account and find your campaigns paused due to limited funds, the app will send you an alert on the Dashboard page. You can then make the proper adjustments more quickly and conveniently. Simply click the Add Funds button on the alert and make the payment to run your campaigns. Currently, this ability has been added to accounts with existing payment methods set-up. To add new payment methods or manage your payments for postpay account, sign in to the Bing Ads website. Aside from the alert in the dashboard, you can always view your billing details and account balance, by navigating to the new Billing page in the bottom tab of the app. In addition to the add funds feature, multi-user access has been integrated into the app to help you manage your accounts across customers more efficiently. 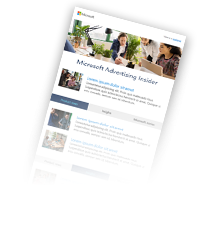 With multi-user access, you can use one email address and password to access all of your Bing Ads customers, switch between customers with ease, and add customers at any time. You will no longer need to sign in and out within the app to complete these types of tasks. In the app, tap the menu at the top left of the screen. If you have multi-user access, you can select a different customer from the drop-down list under your username. You can also tap View All Customers in the drop-down list to access the complete list. With this release, we’ve made few changes to the app design to effectively incorporate these new features. You can now navigate the app with ease across various accounts, make necessary changes and view your campaign performance with a few clicks. Have an idea to make the Bing Ads app even better? Your feedback is very valuable, and we want to hear it. Let us know via email at bingads-mobile@microsoft.com or post in our Feature Suggestion Forum. Download the Bing Ads app for iOS and Android today.